The Jupiter String Quartet. Photo courtesy of the Bienen School of Music. The third and final weekend of the 2019 Northwestern Winter Chamber Music Festival opened in a marvelous way as the Jupiter String Quartet gave masterful performances of two titans of the string quartet repertoire on Friday evening. Sandwiched in between was an interesting modern work that highlighted the tremendous talent these four musicians possess, both as individuals and as an ensemble. While the ensemble interaction was tight and polished, especially noteworthy was perfect intonation. The players never once had to re-tune their instruments mid-performance, something absolutely vital to the work played after intermission. First on the program was Felix Mendelssohn’s String Quartet No. 2 in a-minor, op. 13, Ist Es Wahr? (Is it True?). Written in 1827 at the ripe old age of 18, this quartet is one of several masterpieces Mendelssohn wrote as a teenager. To this reviewer, it is the best of them. Although set in the moody key of a-minor, it opens in with a slow, wistful introductory passage in A-major, during which time a three note motif gives life to the three syllable question in the title: Ist Es Wahr? This is followed by a tumultuous opening movement in the home key with a main theme comprised of a string of triplet phrases. A slow movement then harkens back to the introduction before it breaks into a lengthy fugal section. After a fun-filled third movement, the themes from the slow movement reemerge to break up a stormy finale that eventually returns to the opening A-Major passage. Bookended by the wonderful introduction, with themes from earlier movements reappearing in the finale, this work has a unifying feel like few others. Jupiter String Quartet. Photo courtesy of the Bienen School. Given the appeal of this work, this reviewer approaches every performance with some trepidation. Will it be any good? The answer on Friday night was obvious from the opening passages, which the Jupiter String Quartet took with a perfect blend of tenderness and anticipation. From this, the players seamlessly transitioned to the main movement, the first of many excellent transitions navigated between sections throughout the evening. There were many examples of tight ensemble interaction, for example, the perfect phrasing of the runs the violins played to start the middle section of the opening movement. Although each player has demanding and interesting parts, the starring role is given to the first violinist, who has a lengthy solo passage that moves from the finale back to the introductory section. Nelson Lee absolutely nailed it, perfectly moving from the finale’s drama back to the wistful beginning. As the work reached its end and the audience took several seconds to absorb the wafting sounds before offering a spirited applause, this reviewer realized he had just experienced the best performance he had ever heard of the Mendelssohn a-minor string quartet. This was followed by a modern work by French composer Henri Dutilleux, Ainsi La Nuit (Thus the Night). Spread out over seven movements, this piece from the mid 1970s explores night time sounds reminiscent of a park in the midst of a city. Through plucks, short bowed phrases, glissandos formed by the hand sliding down the instrument’s neck, playing the bow across the instruments’ bridge, a mixed use of muted strings, the work calls on cornucopia of sounds that replicate bugs and insects, wind rustling in trees, traffic in the distance, and any manner of quieter noises one might hear in a wooded, urban tract at night. The work also builds on sounds that reappear at different points. Ainsi La Nuit allowed the Jupiter String Quartet to show off mastery of many playing techniques, both individually and as an ensemble. They effortlessly passed the sounds around and occasionally came together to sound as one. There were many opportunities for the musicians to play similar phrases as a pair or a trio; whatever the configuration, the blending was remarkable. While most of the time, the work is rather quiet, in those occasions when the volume amplifies, the ensemble handled it well. After intermission, the Jupiter String Quartet took up Ludwig van Beethoven’s String Quartet no. 14 in c-sharp minor, op. 131, which, in this reviewer’s humble opinion, is the greatest piece of music ever written. Beethoven’s music conveniently breaks down into three phases. In the first period, he experimented with, but largely remained within, the classical forms inherited from Mozart and Haydn. In the second period, he used an expanded approach that affected the structure of the individual movements and the make-up of the work as a whole. These innovations allowed for far more breadth, intensity of feelings, and variety of musical expression. Toward the end of his life, Beethoven made further innovations to the point where the classical forms are practically unrecognizable. In doing so he borrowed techniques popular in baroque music prevalent 100 years earlier. Fugues appear in several of his late works, where instruments play separate melodic lines in accordance with strict rules of counterpoint. He also emulated the baroque suite to expand the quartet’s traditional four movements to five, six, and, culminating in the c-sharp minor quartet, seven movements. In doing so he plumbed even deeper depths of emotion and feeling, all with greater complexity, to levels never seen before and rarely, if ever, since. The Jupiter String Quartet demonstrated a powerful appreciation for late Beethoven on Friday night. Photo by Merri Cyr. These efforts culminated in five string quartets that Beethoven wrote in the three years before his death in 1827. The resulting music was so far out there, the late quartets languished in obscurity with very few performances for nearly 50 years. It wasn’t until the 1870s when the broader musical public finally recognized these to be the pinnacle artistic achievements that they genuinely are. Today Beethoven’s late quartets are performed all the time. As with the Mendelssohn a-minor, this reviewer approaches performances with some trepidation, but the Jupiter String Quartet came through Friday night. It might not have the best performance of the c-sharp minor quartet that this reviewer had ever heard, it was delightful nevertheless. The Jupiter’s approach to the opening adagio fugue, the only slow fugue in Beethoven’s entire output, reflected their innate sensitivity and musicality, even though it was a tad faster than this reviewer normally likes. Another innovation Beethoven applied to this quartet is that there are no breaks between movements, requiring non-stop playing for over 35 minutes. The Jupiter Quartet continued the excellent transitions that appeared earlier in the evening, and, more importantly, their precise intonation carried through to the very end. As they played through the seven movements, the Jupiter String Quartet fully captured the work’s varying moods, tempi, and dynamics, but it was their approach to the finale that made this performance especially memorable. The opening riff is a multi-note phrase where some of the notes often get glossed over when played quickly. This ensemble took a slower, more measured approach that allowed all the notes to sound clearly. There is something to be said for a faster finale, but Jupiter’s slower tempo added something to this music that often goes missing. All in all, the Jupiter String Quartet gave a delightful performance of demanding works that exhibited deep talent. This reviewer looks forward to hearing more from them. The Northwestern Winter Chamber Music Festival concludes tonight with Bienen faculty Gerardo Ribeiro, Helen Callus, José Ramón Méndez, James Giles, and John Thorne joining guest cellist Stephen Balderston and pianist Kay Kim. The program includes an early cello sonata by Beethoven, a flute sonata by Samuel Zyman, and a piano quartet by Sergei Taneyev. Pick-Staiger Concert Hall, 7:30pm, $30 general, $10 students. Did you enjoy this classical music review? 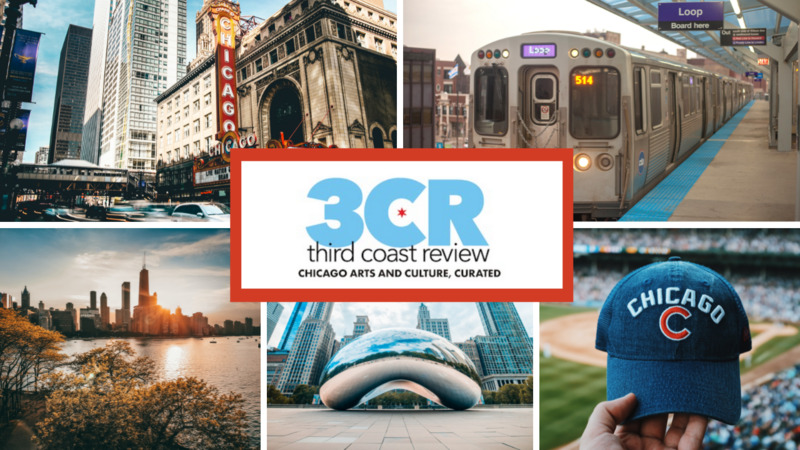 Please consider supporting Third Coast Review’s arts and culture coverage by becoming a patron. Choose the amount that works best for you, and know how much we appreciate your support!